There's a Saskatchewan connection to what's being called the worst case of animal neglect Alberta has ever seen. The suspect April Irving is from Foam Lake, Sask. and has a prior conviction in this province for causing animal distress. 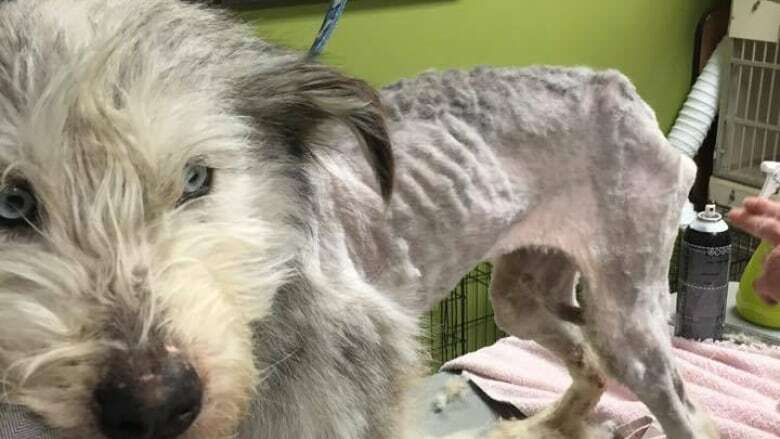 There's a Saskatchewan connection to what's being called the worst case of animal neglect Alberta has ever seen. The suspect, 55-year-old April Irving, is from Foam Lake, Sask. and has a prior conviction in this province for causing animal distress. It stems from the removal of 83 dogs from her acreage near Foam Lake four years ago. Irving was fined $5,000 under Saskatchewan's Animal Protection Act, and banned from owning more than two dogs at a time for a decade. She has filed an appeal, which is slated to be heard in Regina Court of Queen's Bench on April 15. In the case currently under investigation in Alberta, 201 dogs were removed from an acreage near Milk River in southern Alberta. They were found starving, emaciated and some with open wounds. A few others had broken bones, and many were dehydrated and hungry. "Most of them had been on chains that were staked around the yard. And so they didn't have sufficient shelter, especially from the winter conditions," said Roland Lines, communications manager with the Alberta SPCA. "They were in bad shape." Also, back in 2007, a number of dogs were taken from Irving in Fort McMurray. She faced four charges under Alberta's Animal Protection Act in that case, but they were all withdrawn. Staff at the Alberta Animal Rescue Crew Society said it's going to be a long road to recovery for the dogs seized from Milk River. "The groups including AARCS are always looking for foster homes to take on fostering these animals during their recovery period," said Deanna Thompson, executive director. " We also need donations, it's going to be very expensive, it's gonna be thousands of dollars to provide the medical care to get them in a position of being adoptable." The animals have been distributed between a number of rescue groups to await adoption. They are a mix of Huskies, Irish Wolfhounds, Malamutes and Komondors. Investigators said they anticipate charges will be laid in the new case, but they are focused on gathering evidence right now. They hope Irving will never be allowed to own dogs again.